Insight with John Ferrugia "Protecting the Vulnerable" Who is making sure our state’s most vulnerable citizens are protected? Tanya Bell, 39, died in a 2016 Arvada fire when she couldn’t escape by herself in her wheelchair. Julie Hogfeldt, 37, who cannot speak, was left home alone in a Longmont “storage” room, blocked by a large chair. Bill Pringle, 62, was told to stay in the basement and eat his meals there. The three Coloradans are among hundreds of cases of alleged mistreatment of people with intellectual and developmental disabilities in Colorado each year. Bell, Hogfeldt, and Pringle had each lived in “host homes,” which are typical residences that provide support and care for people with IDD. They are not licensed by the state. Rocky Mountain PBS brought details of these alleged abuse and neglect cases to the attention of Gretchen Hammer, the Director of the state’s Medicaid program, which pays for individuals with intellectual and developmental disabilities to have host home services throughout the state. “That is not any way that a human being should experience living in the community,” Hammer said. She said the Colorado Department of Health Care Policy and Financing is reviewing its regulations to see whether they can be strengthened to improve the health, welfare, and safety of individuals with IDD, who are enrolled in the state’s Medicaid program. The agency is looking to strengthen “fire safety practices, environmental safety, and emergency plans,” according to a HCPF memo drafted in December 2017, after RMPBS began its investigation. The document also said the department would work to better monitor the hundreds of agencies that are responsible for overseeing host homes. “We want to continue to support individuals with all disabilities – intellectual, developmental, or physical – to live safely in community,” said Hammer. Watch the Full Investigation Online: "Insight with John Ferrugia: Protecting the Vulnerable"
According to the most recent data available, the state pays approximately $126 million annually for nearly 3,000 adults with intellectual or developmental disabilities in Colorado to have daily host home services. Colorado’s host home system allows people in typical neighborhoods to open their homes and provide residential care to three or fewer unrelated adults with significant intellectual limitations or similar developmental disabilities. Neither the homes nor the providers are licensed by the state, but the providers receive tax-free, Medicaid reimbursements for providing services. The financial incentive helps many of the state’s vulnerable citizens find the care and attention they need in the comfort of a residential community rather than living in an institution. “The vast majority of host homes are working very well for people with intellectual and developmental disabilities,” said Christiano Sosa, executive director of Arc of Colorado, a non-profit that promotes human rights for people with developmental disabilities. “When people are embedded in a community, they’re safer, and they have a higher quality of life than being segregated in a congregate setting,” he said. While the state does have some general regulations that require “training related to health [and] safety,” currently, the state does not have direct oversight of host home providers. Instead, private agencies, called program approved services agencies, or PASAS, are responsible for managing host homes and establishing specific qualifications for the providers they hire. They must also investigate complaints involving host home providers they’ve hired. Once every three years, the state inspects a sampling of the services – including host home services - provided by those private agencies, according to Randy Kuykendall, director of the Health Facilities and Emergency Medical Services division of the Colorado Department of Public Health and Environment, CDPHE. However, many host homes are never directly reviewed or inspected by the state. “I truly believe that the majority of host homes out there are doing a good job,” Kuykendall said. He said oversight could be improved, but it comes with a cost. “Oversight comes with additional visits to facilities that some may or may not think are necessary,” he said. Kuykendall said most of Colorado’s health care providers and facilities have a state license or permit. It can be revoked when care is below state standards. Currently, host homes do not have that. 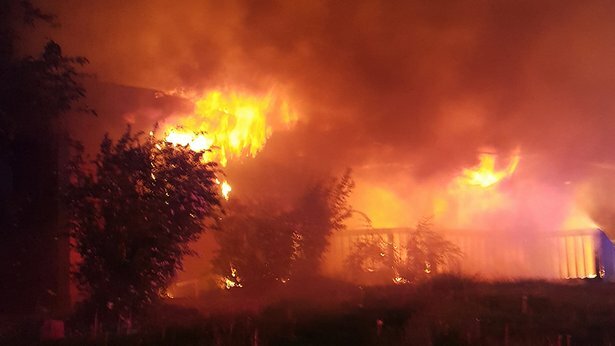 Tanya Bell, 39, had been living in an Arvada, CO host home, when the house caught fire in 2016. 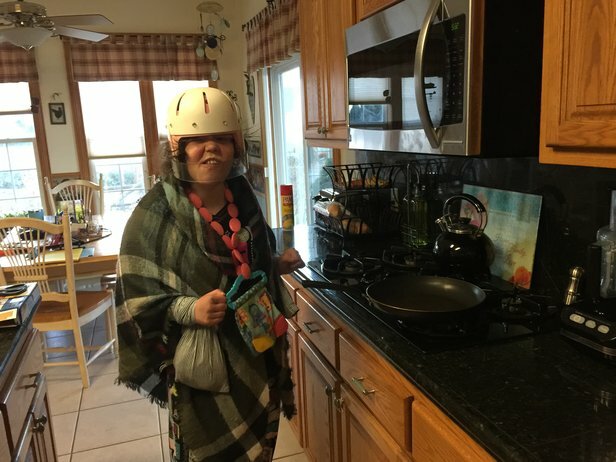 She called 911 after noticing the smoke and flames on the front porch outside her bedroom, but Bell, who had cerebral palsy and used a wheelchair to get around, was unable to evacuate and died. Two other people, who were not disabled, also died in the fire. “There were lots of failures that happened and a fire…that could have very easily been prevented,” said Kevin Ferry, the Arvada fire marshal. Investigators determined the careless disposal of the cigarettes sparked the deadly blaze. 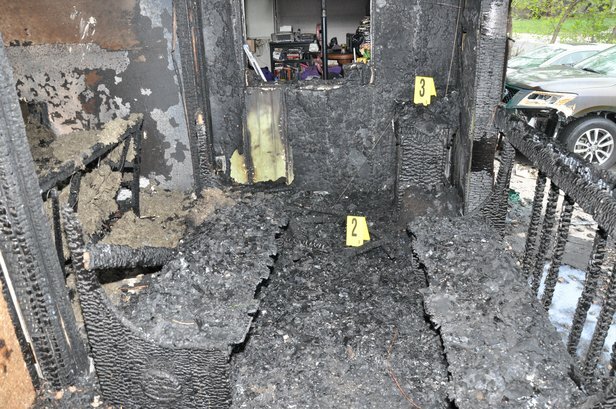 The host home provider, Liz Turner, and her partner, Shana Moore, had been smoking on the front porch prior to the fire and later pleaded guilty to the negligent deaths of the people who died. Ferry said the home was equipped with a fire alarm monitoring system, but it had not been functioning for several years. A fire alarm monitoring system works differently than a regular smoke alarm because it alerts a fire department upon sensing smoke or fire. There are no state regulations that require a host home to have one that works. “There is nothing, quite frankly, that we can use to compel the facility owner to maintain it and have it operational,” said Ferry. But he said he believes host homes should be held to a higher standard. “I feel that if a facility is providing services and they’re being paid to provide those services, then I think there’s a greater deal or greater obligation of them to…provide life safety features,” said Ferry. 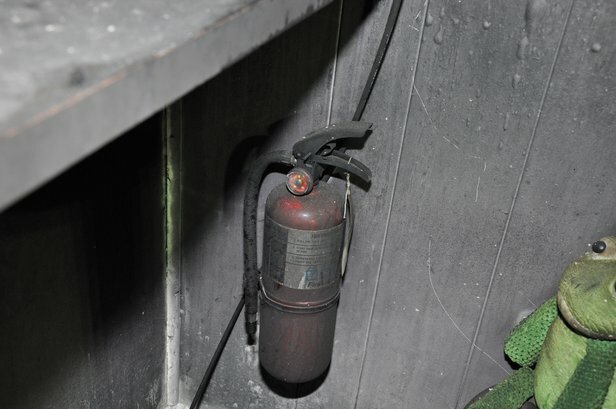 Host homes are required to have a fire extinguisher and smoke detectors according to state regulations. They must also have first aid supplies and a written plan of action in case of an emergency. However, since they only provide services to three or fewer unrelated adults, the unlicensed residential host homes do not follow the same safety standards as many state-licensed group homes and assisted living facilities that care for a slightly greater number of people with similar disabilities. They are not required to have an official fire inspection or any additional fire-safety systems like sprinklers. 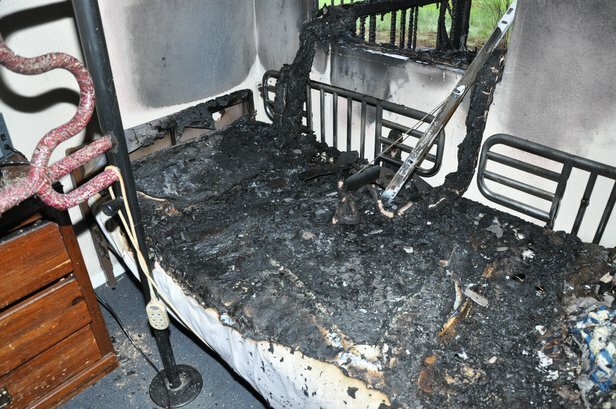 The newest state-adopted fire code requires all new, state-licensed group homes to have detection and suppression systems like sprinklers and fire alarm monitoring as long as the local fire code doesn’t override those precautions, according to Rob Geislinger, the fire and life safety section chief of Colorado’s Division of Fire Safety and Prevention. All state-licensed group facilities are also required to have a fire inspection. A representative for the company that owned the Arvada host home, Parker Personal Care Homes, says the company’s own personnel inspect host homes at least every three months and each provider is required to document fire evacuation drills. “Our entire organization was devastated by the tragic incident in 2016,” said Scott Parker, executive director. “Nothing is more important to us than the health and safety of our clients, and we remain committed to providing rigorous monitoring of all of our homes to ensure the overall safety of our clients." Debbie Hogfeldt has dedicated most of her adult life to fostering children and caring for people with special needs. So when she learned that a woman she helped raise had been the victim in a suspected neglect case at a Longmont host home, her heart sank. Over the summer, police reported finding Julie Hogfeldt, 37, chewing on a pair of underwear in a storage room with a “large chair blocking” the door. The room had a mattress and reeked of urine, according to an arrest affidavit filed in court. Hogfeldt said she and her husband adopted Julie after she had bounced around in various foster homes as a child. According to Debbie, Julie is non-verbal and has “autistic-like tendencies” with intense “behaviors and self-abuse" due to a genetic disorder called Tuberous Sclerosis. As a result, Hogfeldt said her daughter needed round-the-clock attention. After spending years in a state-run facility, Julie had been living in a host home for the past few years. Court paperwork alleged the host home providers who were responsible for Julie's wellbeing, however, left her alone in their home for several hours. “In this population…there has to be safeguards in place,” Hogfeldt said. Brandon Marinoff, an attorney for the two people were responsible for Julie's care, Joice Mamesah and Johanes Lapian, declined an interview on their behalf. He denies the allegations. Mamesah and Lapian were both charged with Neglect of an At-Risk Victim, False Imprisonment, and Reckless Endangerment. 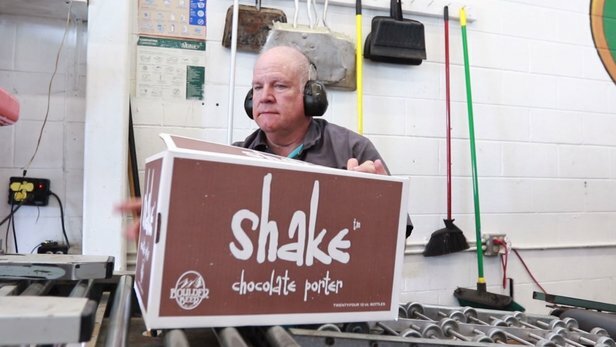 The smiling man with the twinkling, crystal-blue eyes sitting behind the conveyer belt at Boulder Beer Company is Bill Pringle, a fixture at the company for more than two decades. Pringle, 62, gently pushes closed the cardboard boxes filled with beer bottles, so they can be taped shut and sold. He has developmental disabilities but handles his job well. At at home, however, he sometimes needs help with his daily living routine. “He can’t really cook for himself. He can’t clean for himself. He needs a lot of supervision,” said Sue Pringle, Bill’s sister. For years, Bill has lived in various host homes, where a caring provider helps him stay clean, healthy, and well-fed while living and working in a typical community. But in the summer of 2015, Bill’s host home experience, in the care of a woman named Kelly Benz, turned into a case of neglect. According to court and police records, Benz received a monthly tax-free reimbursement of $7,770 in exchange for providing host home services to three men who had developmental disabilities, including Pringle. She worked as a caregiver for decades, witnesses said, and for many years, she provided good care for two of the men. But shortly after she received a special waiver to add Pringle as a third client, investigators said her services went downhill. Niemoth said he learned of the neglect allegations when a fill-in care provider at Benz’s home discovered moldy food and cluttered areas and shared photographs of the mess with Niemoth. He also saw photos of a bloody gash on one client’s head. 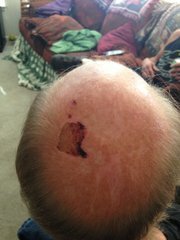 Although the non-verbal client had a history of falling, detectives were unable to prove the exact cause of the gash. 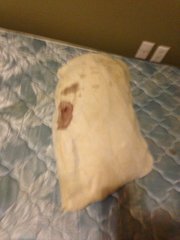 Niemoth said he knew the wound was not well-dressed because the man’s pillowcase had a large blood stain. The fill-in care provider was “very concerned right from the get go,” said Niemoth. When Niemoth interviewed Pringle and the third client, he said he the men told him they were routinely told to stay in the basement. Though she initially faced felony charges, Benz ultimately pleaded guilty to a misdemeanor neglect charge and expressed remorse in court. "I understand what I've been accused of and accept full responsibility for the charges," she said. 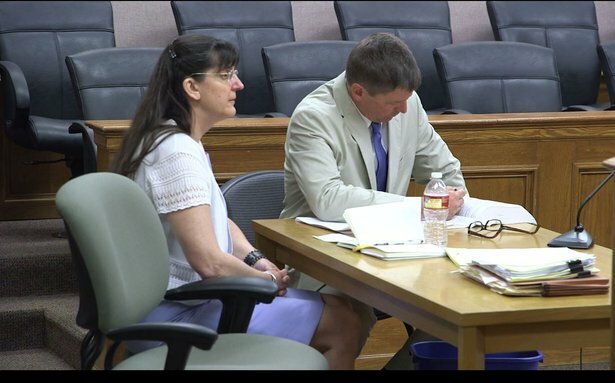 “I think it’s one of the toughest types of cases that you’re ever going to come across,” said Jane Walsh, the former Boulder County prosecutor who handled the case. According to Colorado’s Adult Protective Services agency, APS investigated 324 new cases of alleged abuse, neglect, and exploitation of adults with intellectual or developmental disabilities living in host homes or group homes last year. They found allegations in nearly 60 percent of those cases could be substantiated. Walsh said she is frustrated that there are not more felony charges with stiffer penalties that could be filed for crimes involving the mistreatment of vulnerable adults. “I really strongly, strongly, feel that the system doesn’t do any favors to vulnerable victims which is why we feel that we need to fight hard for them,” she said. State Rep. Dave Young (D-Weld), said he plans to work with Rep. Jonathan Singer (D-Boulder) to address some of Walsh’s concerns. “I think at the end of the day, we don’t want to be prosecuting as much as we want to be preventing a situation from happening in the first place,” he said. Young ,whose adult sister has developmental disabilities, recently helped the state pass a conflict-free case management law aimed at adding an extra layer of protection for at-risk adults. The law will prevent a single agency from both recommending services and providing services to a client with intellectual and developmental disabilities. The legislation, which will be implemented over the course of five years, is designed to help the state come into compliance with a federal conflict-free case management rule that took effect in 2014. In Pringle’s case, the company that provided case management for him was also affiliated with the company that hired Kelly Benz to provide host home services to him. Under the new law, that conflict of interest would be eliminated. Young said he was also moved by the fire that killed Bell and is now working with state Rep. Dan Pabon (D-Denver) to draft legislation that would strengthen the system of care provided through host homes. “Certainly, we have an obligation to make sure that doesn’t happen again,” he said of the deadly blaze. Representatives for Alliance, a non-profit association made up various agencies that oversee and manage services and the care for individuals who use host homes, said it also is reviewing current policies and practices after learning of various recent incidents, including the fire. “We will also consider the impact that additional regulation could have on recruiting and retaining enough high-quality host home providers to meet the demand for this popular and effective service model in Colorado,” the organization wrote in a statement.